Shortly after taking over as Chairman of the Independent Games Festival, we partnered with NYC indie collective Babycastles to open a week-long exhibition of 2010 IGF finalists for public play at Babycastles’ Manhattan show-space. With opening and closing parties that included music from chiptunes legends like Minusbaby and Starscream (now Infinity Shred), as well as Anamanaguchi drummer Luke Silas performing solo as Knife City, the exhibition drew in sizable crowds of both indie game fans and the general public, who were exposed to these games for the first time. 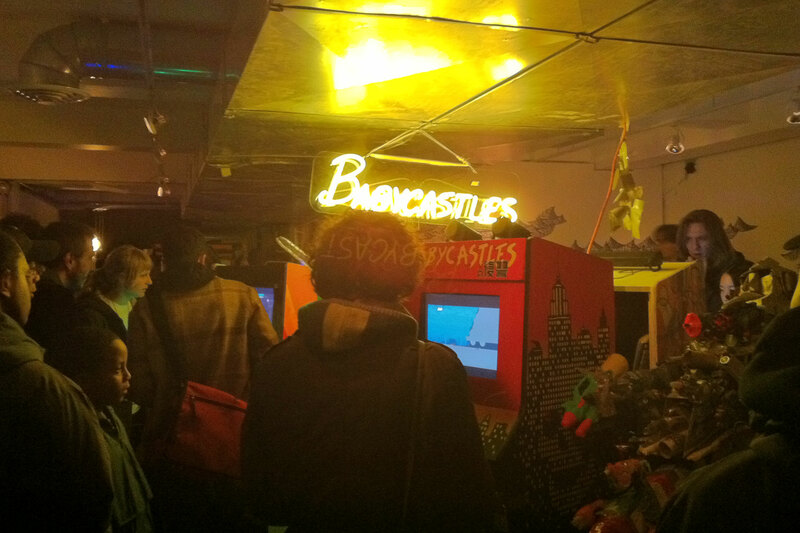 Exhibited games were chosen from among the finalists that would “show well” in a space where noise (and, for its opening and closing parties, sobriety) levels weren’t guaranteed, and displayed in Babycastles’ pre-built bank of custom arcade cabinets. This was my first time overseeing an event of this size, and it obviously wouldn’t be the last, nor would it be the last time I partnered with Babycastles to put on a show: I returned five years later as Venus Patrol, with another selection of amazing games and music.